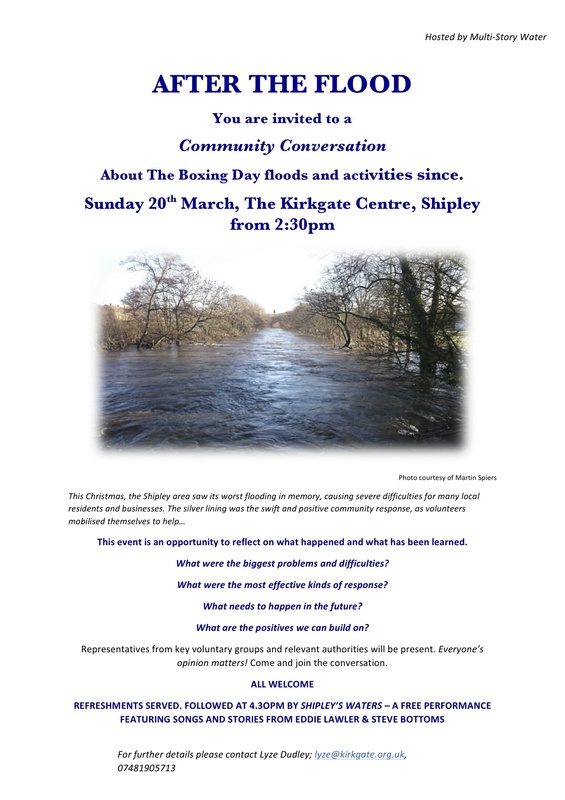 Tomorrow afternoon, from 2.30pm at Kirkgate Centre in Shipley, the Multi-Story Water project is hosting After the Flood – a community conversation event to discuss what happened in the Shipley area on and after Boxing Day… Please do come along and share your thoughts. We want to hear from as many people as possible! 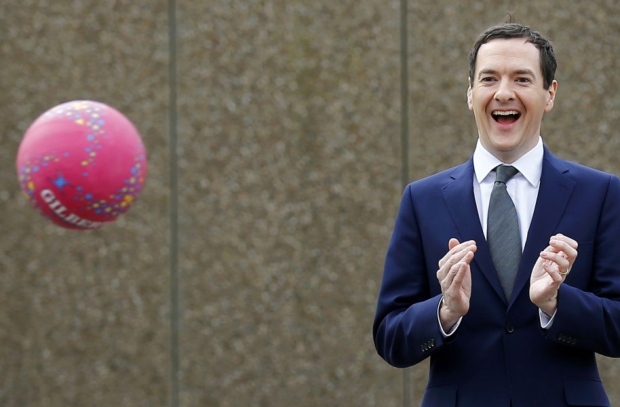 Our event marks World Water Day (actually Tuesday 22nd), but it also comes just days after Chancellor George Osborne‘s budget statement — in which he announced £700 million, nationwide, for new flood defence and resilience schemes. This is to be paid for, according to this government website, by 0.5% being added to insurance tax… a cost which insurers will apparently pass on to households, and yet — it says — the average household will only be £1 worse off per year… Since there are clearly not 700 million households in the UK, I’m not quite sure how this adds up. But anyway, the point is that this money will include around £150 million for Yorkshire — to be spent mainly in York, Leeds, and the Calder Valley. This is good news, but there’s also a sense of “too little too late”, when one considers that it was Osborne who slashed planned spending on flood defences when the Conservatives came to power in 2010, as part of his austerity drive. 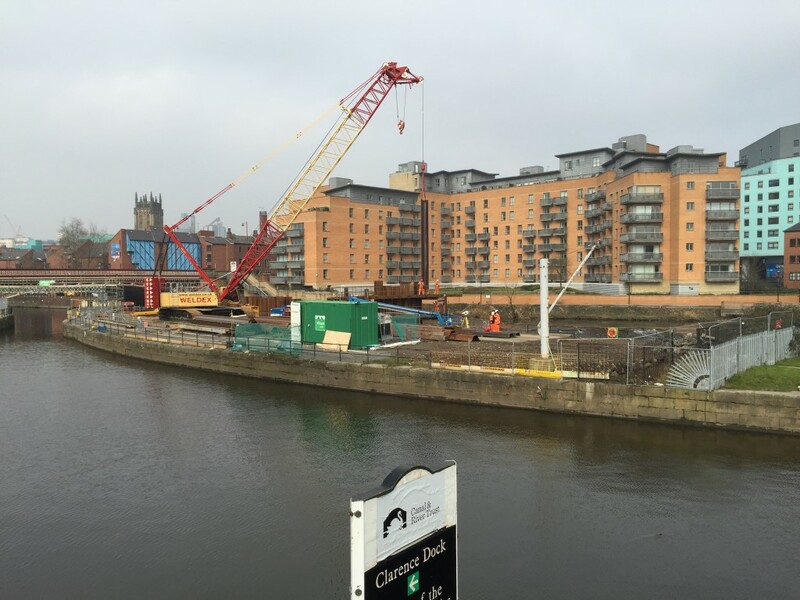 Moreover, according to this Yorkshire Post article — the estimated cost of necessary flood defence work in Yorkshire is currently estimated at around £180m, so there’s still a shortfall. … but the irony is that “Phase 2” (i.e. further upstream in the Kirkstall area, for instance, which was hit badly at Christmas) was always supposed to be covered by the earlier scheme anyway — the one that was scrapped in 2010. The funding for work in Calderdale does not quite stack up in relation to the cost-benefit analyses — I’ve been told — because the population figures in places like Hebden Bridge and Mytholmroyd are not nearly as high/dense as in a city like Leeds. 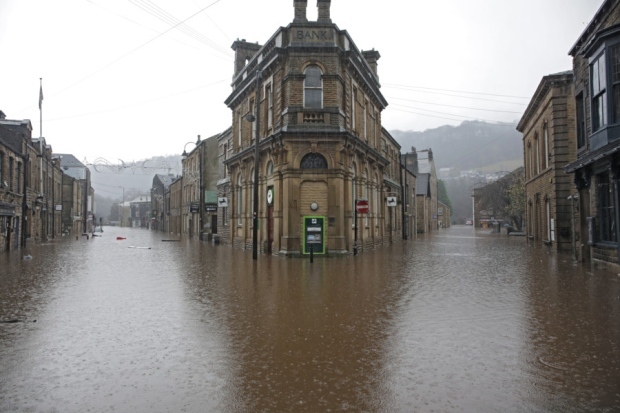 But given that Calderdale has been repeatedly hit by severe flooding in both 2012 and 2015 — causing total misery for local people and some very dramatic pictures on the national news — it’s perhaps not that surprising that a PR-conscious government would decide that something visible needs to be done. Unfortunately, it would seem, Shipley figures pretty far down on the priority scale, since (a) the numbers of people living directly in the flood-risk areas is relatively low, and (b) the national media coverage has been relatively minimal (apart from that caravan spectacularly hitting the footbridge at Dockfields/Lower Holme… that got a lot of airplay!). As the film shows, there are novel experiments happening in locations like Stroud, to diminish flood risk by slowing and spreading the flow of water in what they call “upper catchment areas” (upstream), using comparatively natural methods. This works out much more economically than building big engineering structures downstream in the towns and cities affected (though that may be necessary too). What George Osborne needs to do, perhaps, is look less for the eye-catching, cash-splashing headline, than for innovative solutions like this one — which if applied more widely could make a big difference. Conversations this week with people at the Environment Agency and the Aire Rivers Trust have brought my attention to the fact that much work is being quietly done to try to encourage landowners in the upper catchment of the Aire valley to embrace these more “natural” flood defence schemes. Notice, though, in Chris Utley’s video, how the big landowner they’re dealing with in Stroud is the National Trust — a charitable organisation that owns massive amounts of land and tries to be pro-active with new land management initiatives. When land is owned by a much more diverse patchwork of farmers and landowners — as in the upper Aire — there is a lot more work to be done bringing lots of different people onside. Let’s hope this proves successful, as it could make a big difference for people further downstream — in Bradford and Leeds alike. The difficulty is, of course, that landowners don’t necessarily want water being retained in their own land, rather than draining off downhill. Historically, drainage ditches have been dug in upper catchment areas precisely to make land more farmable by removing water from it. And this brings to mind, also, one further story that caught my eye this week — one involving none other than American mogul and presidential candidate Donald Trump. 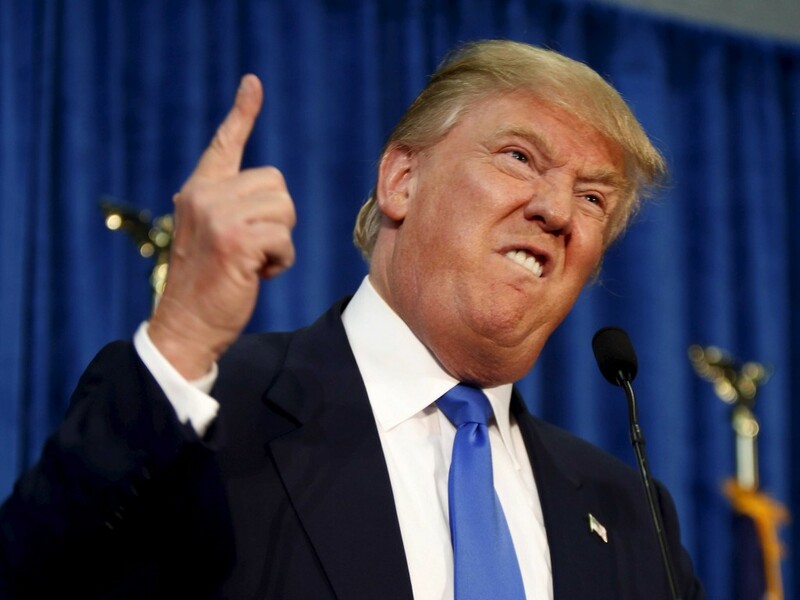 Trump is currently being sued by a town in Westchester County, New York state, for illegally and intentionally (they claim) altering the drainage system on his golf course so that water would drain off it quicker. This was designed to fill up the ponds on the course, to make them more aesthetically pleasing for golders, but has had the side-effect (so the town claims) of increasing their own degree of town centre flood risk. They were hit by flooding in 2011, but are suing now… which means that either (a) it took them a while to figure it out, (b) it takes a long time to get anything done legally in the United States, or (c) someone is out to raise negative publicity about Donald Trump. Or (d) all of the above. Who knows. We can rest assured, though, that Donald Trump’s house will never flood. Update: according to this BBC news report (25 March), the sums needed by local government to pay for the flood repair and defence work now needed are considerably higher than anything being offered by government. This entry was posted in Dockfields, Flood by Steve Bottoms. Bookmark the permalink. Thanks for linking to the film. Although I wouldn’t want anyone to get the idea that we are only working with the National Trust. NT forms only a small part of the ownership in the Stroud Frome catchment, the majority is in private hands (mostly farmers), and we have been working with a significant number of private owners in addition to the NGO owners. We went to NT and the local wildlife trust because we knew we would be able to get works on the ground early to build confidence, both with residents and other landowners, which is what has happened. I would say that any work that would benefit Shipley would need to take place well upstream on the smaller streams. The funding situation in Stroud is the same as you describe though. Almost none of the areas qualify for flood defence spending due to the cost benefits issue. I heard figures stating that over 200,000 properties in England are in a similar position, and in some cases, looking at upstream solutions can be the only game in town.